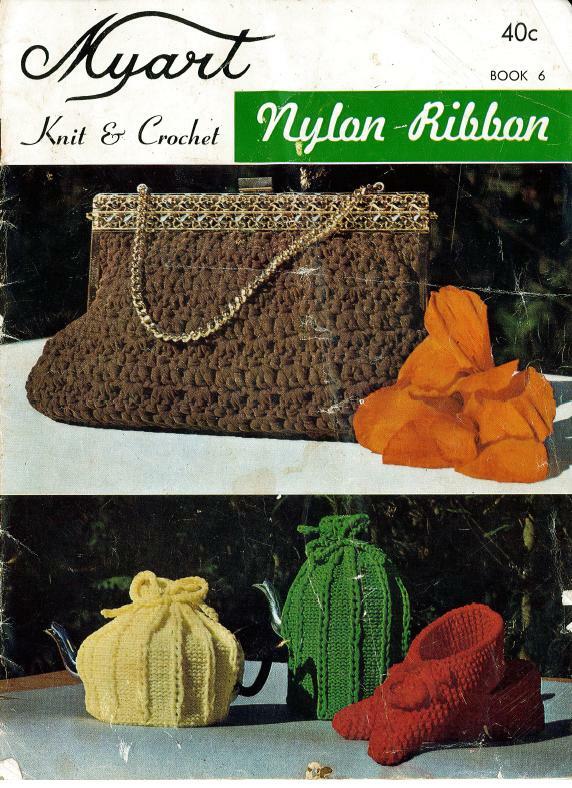 My Mum recently showed me this crochet and knitting booklet. There is no date anywhere on the publication and I am guessing by the pictues that it was published early 1970’s. It is promoting the use of nylon ribbon by a company called Myart Company Pty Ltd. I still have a few rolls of this nylon ribbon floating around the bottom of my sewing box, they would have to be over 20 years old. The ribbon was like a fine mesh and you had to put some tention on it for it to ‘pull’ togther. My use for it was to decorate soap and I never crocheted with it. 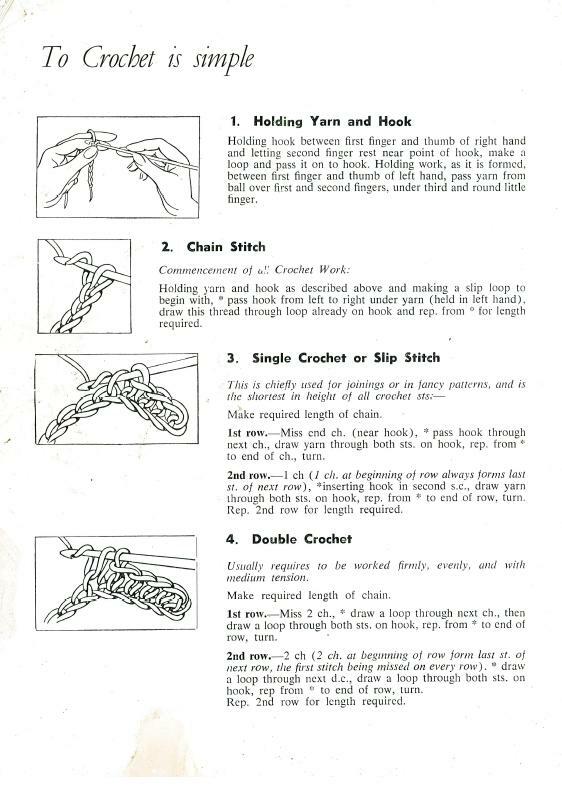 When I crochet my hands look like the above picture, it is how my Mother taught me. 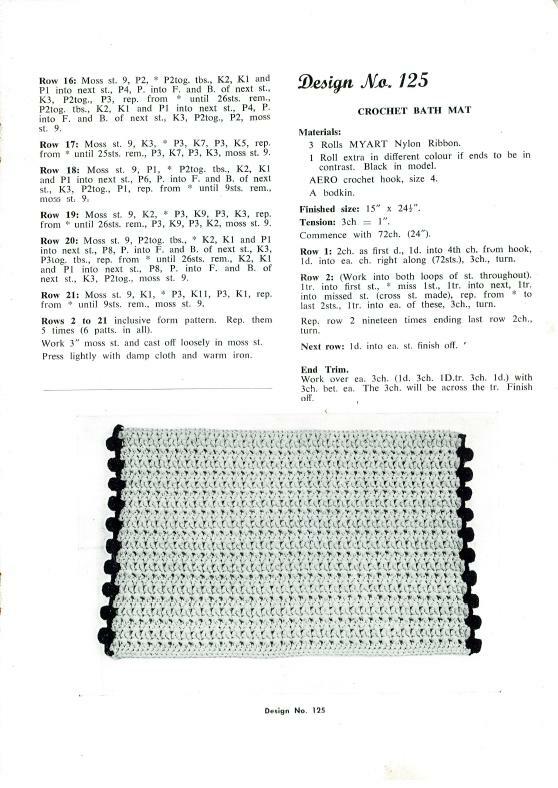 Below is a crochet pattern, I hope that I don’t get into trouble by publishing it. My google search has not come up with an Author or Company to give credit too. How I searched the internet and crochet books for months looking at bath mat patterns. Who would have thought that I should have asked Mum. 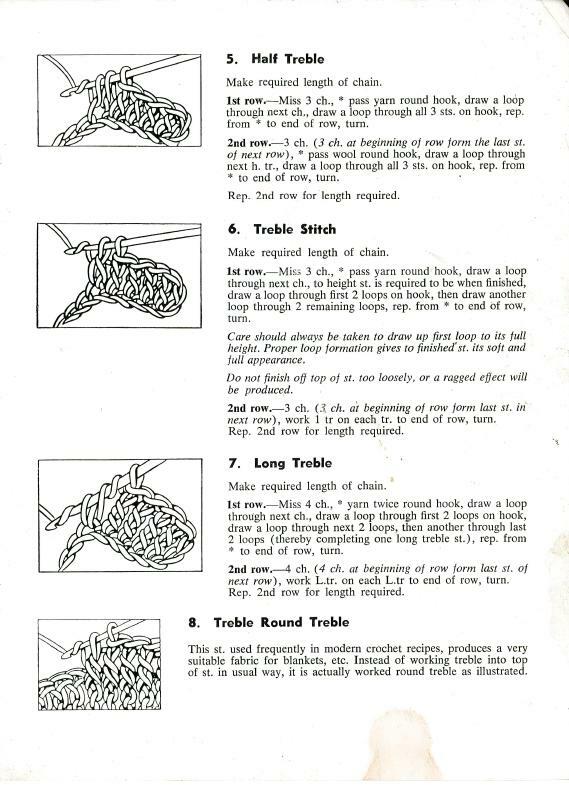 Do you have any vintage crochet booklets, patterns and hand written instructions?